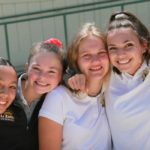 La Reina is renowned for its incredible writing program, which ensures that every graduate has a solid foundation in reading for detail and clarity in writing. Students learn, in part, through consistent practice, writing every week. A big driver of La Reina’s success is the belief that communication is a skill that all students can develop. Alumnae share that their La Reina writing education helps them stand out. Michelle Cabrera, ’09, works in biomedical research and development. She says that her writing helps her stand out in a competitive field. While many of her colleagues are highly capable scientists, few are able to both carry out experiments and also write effective reports. Cabrera’s ability to communicate has propelled her to a leadership position within her team. Learning how to write well also helps La Reina students learn to read well. Angie Wang, ’04, is an accomplished illustrator, working for The New Yorker, the LA Times, and the New York Times, among other national publications. She shared that one of the qualities that earns her repeat work is the fact that these publications can count on her to discern the subtleties in a piece of text and create illustrations that illuminate these finer points. Catie Brown, ’16, agrees. 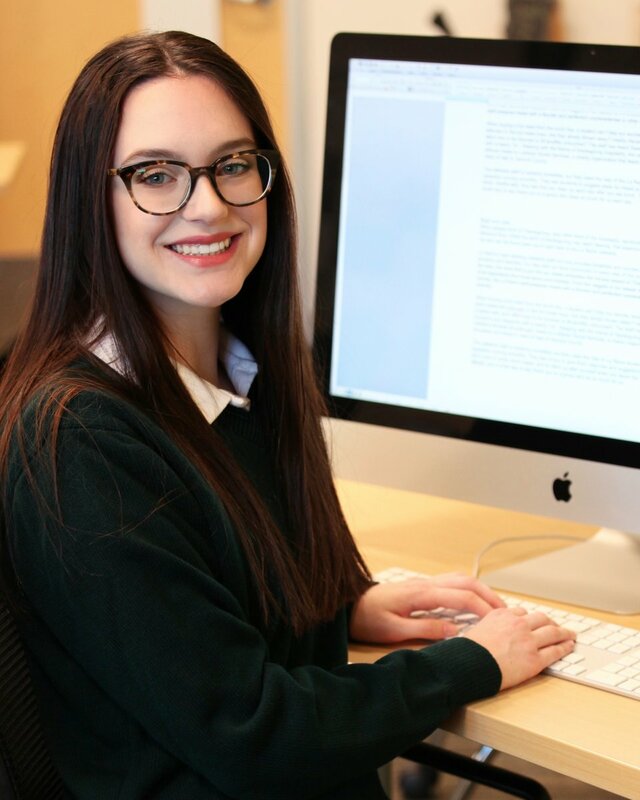 Currently a junior at Stanford studying Psychology and Journalism, she says that La Reina’s writing program helped her hone not just her writing skills, but her analytical and critical thinking skills. 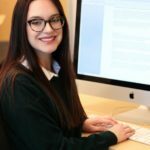 “The writing program at La Reina helped me understand how to analyze current events and choose which stories to focus on,” says Brown. 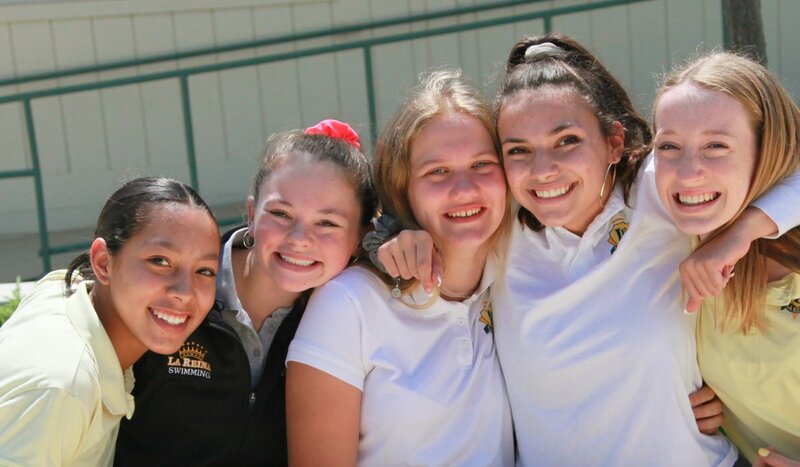 In a rapidly changing world, La Reina believes that these will be core skills required for success in students’ future endeavors—the ability to communicate, to understand and to use one’s voice. 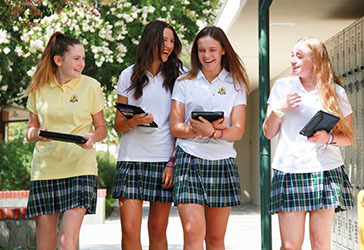 As computer technology grows increasingly sophisticated and complex, La Reina believes that the capacity for clarity and eloquence will be an even more vital differentiator, ensuring that our graduates stand apart from their peers. La Reina is proud to announce “Newsies” as our spring musical. This inspiring story of kids fighting for a fair shake has just been released for high school productions and has not been performed by any other school in Ventura County. Don’t miss your chance to experience the energy and timeless melodies of “Newsies”!